Matt Kelleher, was raised in Cedar Falls Iowa. He attended the University of Northern Iowa, where he received his MA in printmaking. He is currently an Assistant Professor at the internationally recognized Ceramics Department at Alfred University in New York with over ten years of experience as a studio potter. Matt then received his MFA in 1999 from University of Nebraska-Linclon where he studied with Gail Kendall, Peter Pinnell, and Eddie Dominguez. He was a resident at Penland School of Crafts, the Archie Bray Foundation and Shigaraki Ceramic Cultural Park in Shigaraki, Japan. Matt also studied ceramics at the Kansas City Art Institute under Ken Ferguson and Victor Babu from 1993-1995. We are excited to welcome Matt back to Iowa for the Iowa Clay Conference! Artists Statement: "Pottery is a continuous curiosity; how it’s made, how it feels, its shape, its surface, how it exists in a home as an object, or a tool, or maybe an image. . . I create my surfaces for contemplation. Moods are suggested with warmth, fluidity, and translucency...Pouring and layering slip, I respond intuitively to the qualities of liquid." Matt will be a presenter/demonstrator during the conference as well as host an exhibition during the conference at Coe College Sinclair Galleries. Janis Mars Wunderlich, is a contemporary ceramic master. She was born in Akron, Ohio and received her BFA from Brigham Young University and an MFA from The Ohio State University. She was profiled in a documentary Who Does She Think She Is? Janis has been the recipient of several awards and grants, including multiple fellowships from the Ohio Arts Council and the Greater Columbus Arts Council. Janis teaches Ceramics and Design at Ashland University, and is an assistant professor of art history, ceramics, and art foundations at Monmouth College, Monmouth, Illinois. Janis will be a presenter/demonstrator as well as host an exhibition during the conference at Mount Mercy University in lower McAuley Hall. Her exhibition will be up from OCtober 5th through October 25th. The Gallery open Monday-Friday from 4-6pm for viewing outside this time contact gallery director at jrichard@mtmercy.edu . Zachary Wollert received his MFA from Kent State University. 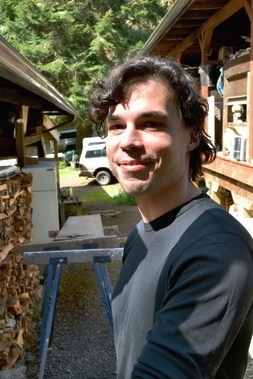 Zachary has completed residencies at both Cobb Mountain Art and Ecology Project Cobb and Firebug Pottery in Elkton, Oregon. He also worked as a Graduate Teaching Assistant in Ceramics and Assistant/Curator to the Director of Galleries, for Kent State University in Ohio. Zach is currently the Lead Studio Technician at Kirkwood Community College in Cedar Rapids Iowa. Zachary will be a guest presenter/demonstrator during the conference. Clary Illian is a potter who lives in Ely, Iowa. Illian apprenticed at Leach Pottery in England from 1964-65.Hewing to the Leach philosophy, her subsequent work concentrated on the purity of the pot’s form and the potter’s life – one lived with strong convictions and a pure heart. She continues to produce useful daily pottery for local customers at a reasonable price. Clary Illian: A Potter’s Potter, a retrospective at the Cedar Rapids Museum of Art, exhibited from August 2012 to February 2013. Growing up on the family farm in rural Iowa, Mitchell Spain spent much of his childhood rummaging through "junk" left in old barns. These rusty objects became a connection to older, slower times - times before technology overload and fast paced living. Clary is one of the jurors for the curated exhibition River to River during the conference. Mitchell Spain received his BFA in Ceramics in 2012 from the University of Iowa and his MFA at the University of Kansas in 2015. Mitchell has exhibited in many national and international exhibitions, including the Zanesville Prize for Contemporary Ceramics, and has appeared multiple times in Ceramics Monthly. An article he authored on his research of ceramic threading was published in the November 2014 issue of Ceramics: TECHNICAL magazine and he presented on the subject at the 2017 National Council on Education in the Ceramic Arts Conference in Portland, OR. Mitchell draws inspiration in his functional and sculptural work utilizing a trompe l'oeil technique to mask clay in a rustic facade thereby "recycling" and "reusing" those found objects. He currently lives in Des Moines, IA with his wife and son where he works as a full-time studio artist. Mitchell is one of the jurors for the curated exhibition River to River during the the conference.